Another brand new house ready for purchase! This would be the "medium level plan" offering 3 bedrooms upstairs, a full loft / den area upstairs that could be utilized as either a second living room, or converted into a 4th bedroom. 2 full baths upstairs with a massive walk in closet in the master bedroom, and one half bath downstairs. The kitchen comes upgraded with stainless steel appliances, and a chestnut finish to all cabinetry. 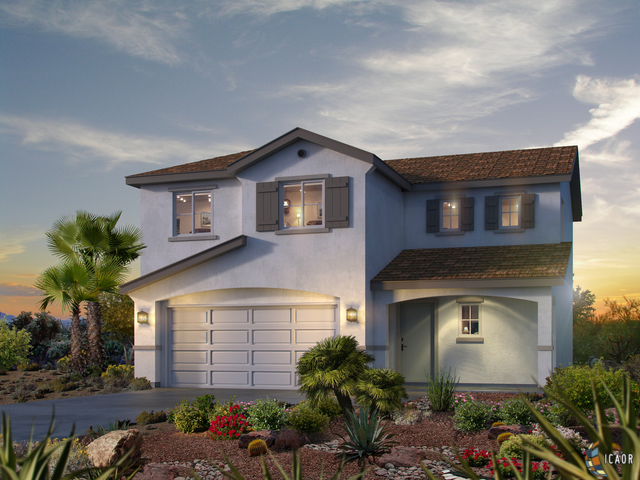 Just like all our other new homes here, it comes equipped with a tankless water heater, fire sprinkler system throughout the house, xeriscaped landscaping in the front, and a 10 year home warranty (ask for details). The picture provided is that of the model, actual home may vary a little and price may be slightly different, but you can come see her for yourself! We only have 5 left of this model so don&apos;t hesitate!